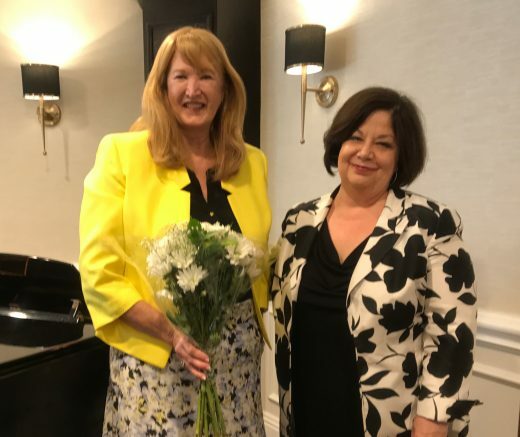 The Spring Luncheon and Installation of Officers for 2017-2018 was held on May 3rd at the luxurious Coral Ridge Country Club in Ft. Lauderdale. Guests sipped prosecco and were serenaded by two of Florida Grand Opera’s finest Young Artists and their accompaniment prior to a scrumptious lunch. Susan Danis, General Director and CEO of Florida Grand Opera presided over the installation of officers. Karen Mathieson thanked the executive and committee chairs for their support over the past season and presented each one with a gift of appreciation. Thanks were extended to all those who helped to underwrite events, volunteered on committees and at events, and sponsored our In-school Opera Program. You are the BEST! In addition to sponsoring the in-school opera at 5 Broward schools, this year we were able to donate $70,000 to FGO! A pre-opera gala dinner and tribute to Patrick Flynn, preceding the opera Lucia at the Broward Center on Sat. Dec. 2nd. And much more… we welcome your input and we are always looking for new ideas and a helping hand. Remember to buy your season subscription to FGO 2017-2018 season. Thank you to Anne Brantmeyer and Barbara Copanos for organizing the luncheon and to Helena Caplan for the great photos.